These personalized pens will make them smile! 21 color(s) to choose from! Handout these eye-catching pens at the next tradeshow. 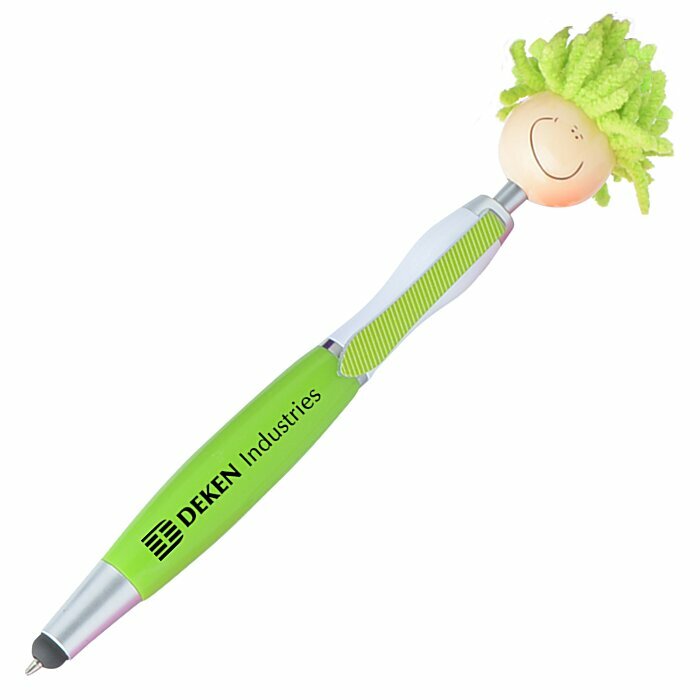 These click-action stylus pens can be used to take hand-written notes or while using a touch-screen device. 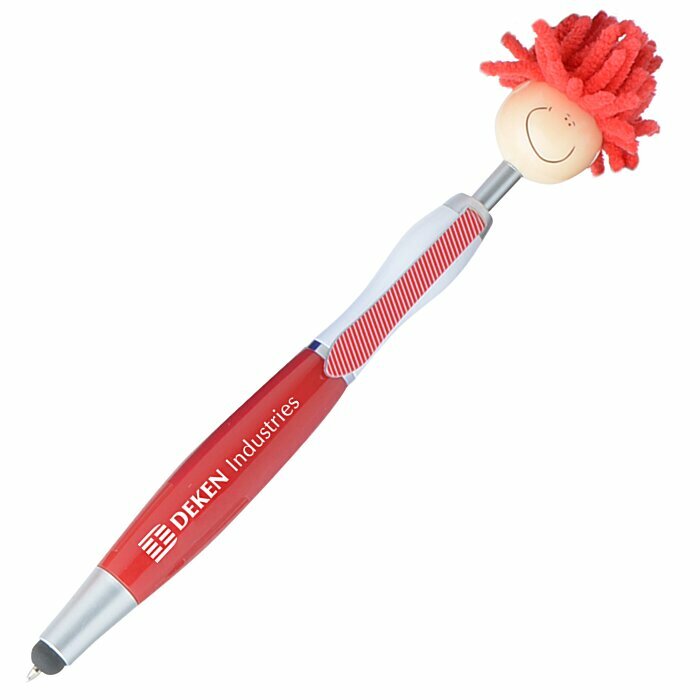 Features a smiley face with a microfiber mop top hair for cleaning your mobile device. Designed with a silicone stylus tip and an eye-catching silver trim. 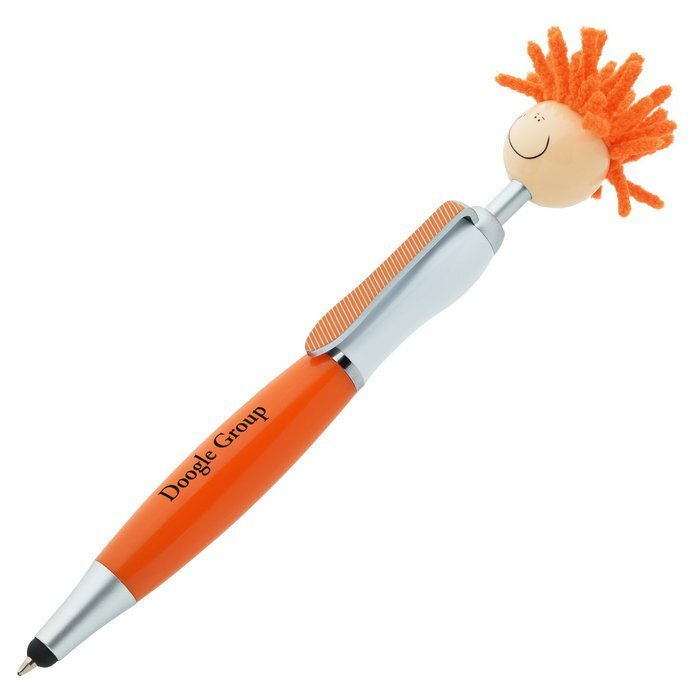 Red, blue, orange and green pens have a colored lower barrel, white upper barrel, matching striped tie and matching mop top hair. White pen has a white lower barrel, black upper barrel, black striped tie and black mop top hair. Available in a variety of options that you can mix and match! 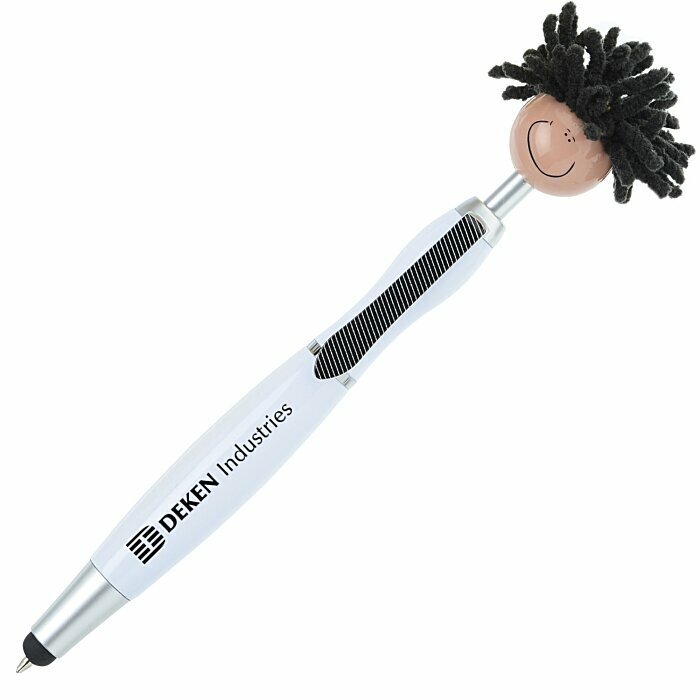 Writes in medium-point black ink. 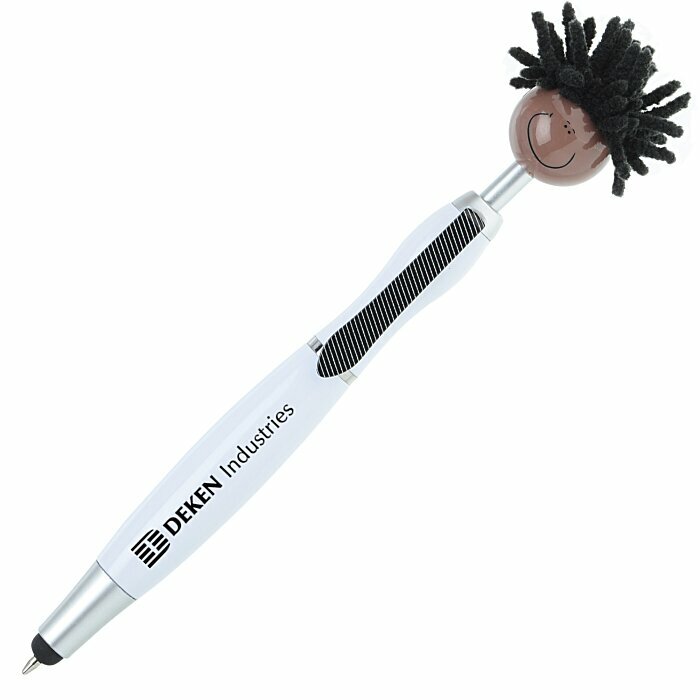 Your price includes a one color imprint on the barrel, aligned with the clip.